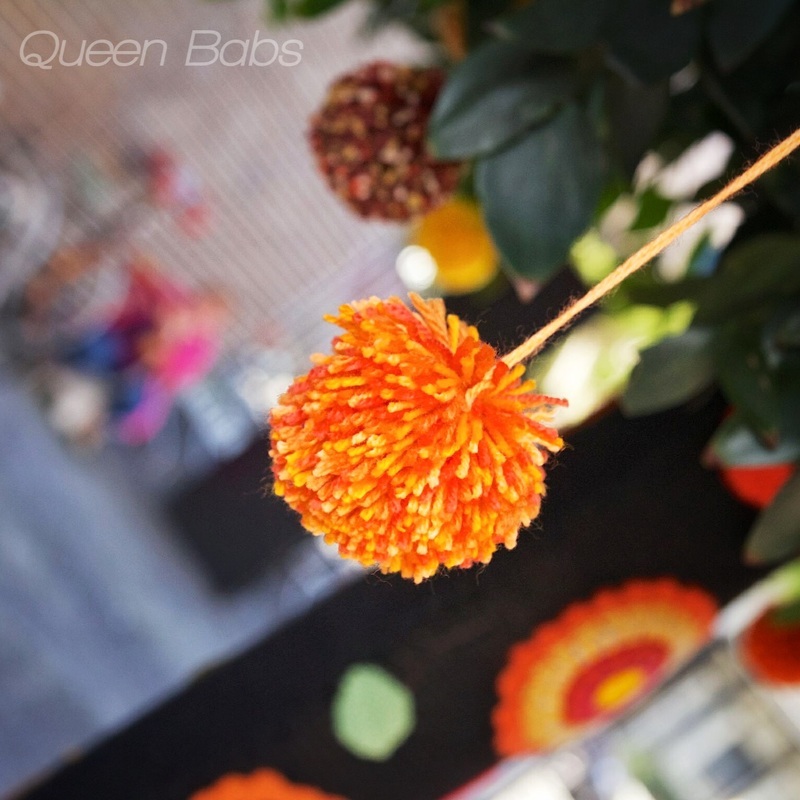 Recently I was asked to share what I knew about the impact yarnbombing has on the health of trees and I gladly share my experience. In a Podcast in 2015, USA Artist Carol Hummel reported she has had a series of trees covered in yarnbombs for 10 years and those trees are still going well and growing happily. 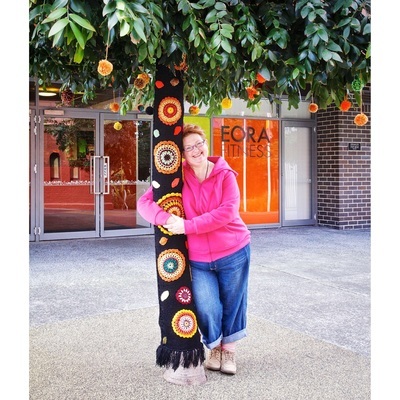 I cannot boast 10 years, but I can tell you that the three trees I yarnbombed at the National Centre of Indigenous Excellence in George Street, Redfern, Sydney in mid 2014 are growing strongly without any problems. The addition of yarnbombs has actually raised the profile of the centre and increased the care the community has for the trees. Children hug them. People sit under them or photograph them. Experienced USA artist Stephen Duneier on his website yarnbomber.com goes further in assessing the impact of his work: "Not only are my projects properly vetted & permitted, the US Forest Service has said, “It's a unique, creative enterprise. It encourages people to get out there. This is a positive." Animals still live happily in the tree. It hasn't discouraged them at all. Many times I have been surprised by spiders, lizards and bugs. Birds sit in the trees and ignore the yarn. These have been up now for 18 months in January 2016 and such is the success of this project that the centre has requested new yarnbombs to replace the now tired looking yarn. If that is not a vote FOR the yarnbombs, I do not know what would be! Normally I would say use acrylic yarn because it is hardy and long lasting. It also stretches well, adapting to the growth of the tree. When a yarnbomb gets wet, it stretches, adapting it's shape and stretching further. A yarnbomb of only 2 weeks is nothing and will make no difference to the trees' health and well being. I find the addition of fibre art seems to make people stop and enjoy the tree more. 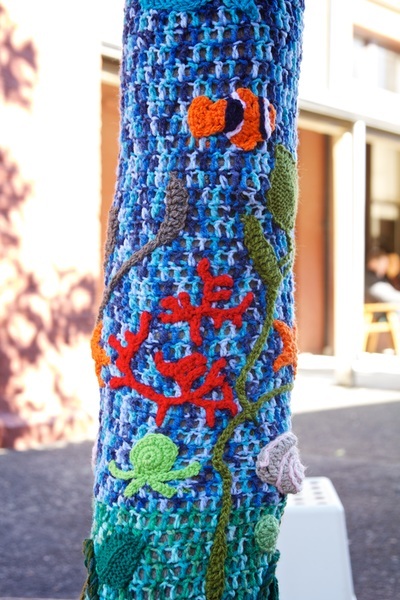 Previously they may not have noticed or valued the tree, but a yarnbomb will make people stop and notice both the art, texture and colour of the Yarnbomb and the tree. Yarnbombing occurs all over the world. Trees everywhere are wearing inspiring wooly jumpers delighting people passing by and raising crochet and knitting to public art. I follow most of the big yarnbombing stars internationally via social media and I have never read a report of any Yarnbomb causing a problem. Indeed, the addition of yarnbombs makes no difference to the health of the tree but improves the health of the viewer! Yarnbombs do not stop trees breathing! The three yarnbomb trees in the NCIE foyer are thriving with their big yarn hugs. Getting close to four years of yarnbomb love now. Bugs, spiders, lizards all like them. Sometimes people say the yarn around the trunk stops the trees breathing. That is scientifically wrong. Trees breathe through leaves and they need roots to absorb water and minerals. For trees breathing takes place in the leaves, but it is chlorophyll (the substance causing the green colour) that absorbs the carbon dioxide and uses it along with water to dissolve minerals taken up through the roots. After the chemical reaction is completed, the leaf releases oxygen and water vapor through its pores. In the winter this process is greatly reduced if there are no leaves and they are partly helped by their tiny breathing pores called stomata which is mostly in the young branches. But for most of their help they go through anaerobic respiration which is just respiration without air. You can remove all of a tree's leaves and it will survive and grow back. But if you cover the root system and the root collar (the bottom flare of the trunk) with a few inches of soil the tree will die from lack of oxygen. So... don't yarnbomb all the leaves and roots and you will be ok.